No more than a year ago, banks and mortgage lenders throughout the United States were battling one another to provide the most generous financing available, whether it came in the form of a super low payment on a negative amortization loan or 100% financing on an investment property. It seemed to be a never-ending fight to offer the most outrageous mortgage program, with 50-yr fixed mortgages being offered, and rumors of 100-yr amortization available somewhere out there, maybe? Apparently mortgage rates weren’t low enough for borrowers to just go with conventional products like a 30-year fixed or a 15-year fixed mortgage. A year later, things have changed quite a bit. Gone are the days of 100% financing on investment properties, and now even primary residences with 100% financing are hard to come by. Negative amortization loans that used to offer up to 125% “neg” are scaling back to 115% at best. And frills such as using cash-out proceeds for reserves are disappearing from the radar. Not to mention house values being cut left and right, sending homeowners into a panic who quite recently were sitting pretty on what seemed like goldmine investments. Now homeowners are listing properties for months, sometimes up to six months or more without a sale, lowering the price as time goes by until they turn to the lender for help. But banks and lenders are turning down homeowners looking for better terms in the form of a refinance who had previously listed their homes, citing a non-marketable house to be a risky endeavor. And as the real estate market continues to cool, many investors, banks and lenders aren’t willing to offer the same loan programs we saw less than a year ago. Investors simply aren’t buying into what they feel are exotic loan programs any longer. And things are likely are tighten up much more as the market wanes even further. This isn’t good news for those who are still in risky loan programs that are expected to adjust higher in the near future. 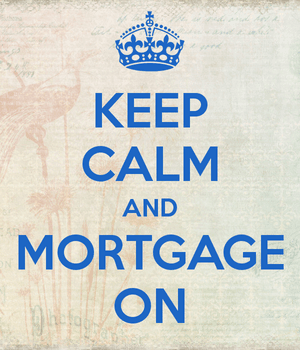 They will very likely wind up with unsustainable mortgage payments, which could put their homeownership at risk.